Break dance? Belly dance? Ballet? Ballroom? Doesn’t matter – the results are in and be with a pair of two left feet or otherwise, dance has been proven to improve your overall mood and your mental health. A meta-analysis of 23 international studies on the effects of dancing, reported in The Arts in Psychotherapy magazine, conclude that dancing has a positive effect on the prevention and treatment of anxiety and depression but it also more likely to be voluntarily continued by participants. Further, practices like mindful mediation have been proven to help fight depression but dance continues to show decreases in both stress and depression, making it an even more important element of a student’s mental health toolkit. Even better, whether you dance like Elaine Benis from Seinfeld or Fred Astaire, the positive effects on your mental health are the same! 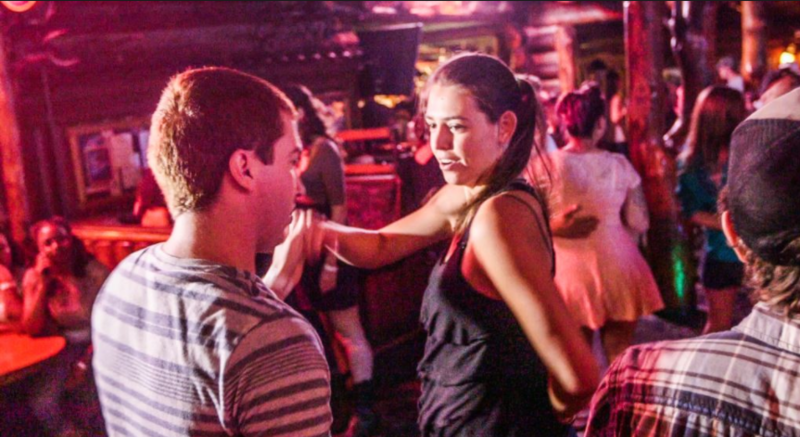 Researchers have been studying the effects of dancing and mental health for a long time now. As with any exercise, dancing releases good amounts of dopamine, knows as the “feel good hormone,” the benefits of which we’ve discussed on this blog previously. However, there’s newer research that points to the “double pleasure play” of dancing. Listening to music “stimulates the brain’s rewards centres and dancing activates its sensory and motor circuits,” according to a student reported in Scientific American, as outlined in a “On The Brain” by Harvard Medical School. Another study conducted by the New England Journal of Medicine discovered that among activities such as swimming, golfing, tennis, cycling, and dance – only dance was found to lower the risk of dementia among the group studied. A slew of other studies point to the fact that dance – like other physical exercise – increases the serotonin (the “feel good” hormone), help develop new neural connections, and reduce the stress felt by participants. Yet another study by a group of Swedish researchers studying teen girls with reported cases of stress, anxiety, and depression, tasked 50% of the girls to attend dance class once per week, the other half abstaining. Those who danced weekly were rewarded with decreased levels of recognized anxiety and depression. Further, the effects lasted for up to 8 months after they stopped attending regular dance classes. So, if your closet contains a single sequinned glove and loafers, a pair of high-tops and baseball cap or a ball gown and tuxedo, break ‘em out and get to dancing! Your mental health will be rewarded.